Ancient Origins returns once again to go deeper into our exploration of the Tayos caves in Ecuador on our 3rd expedition for Premium Members. While the search for hidden cave entrances continues, our previous Tayos expedition also demonstrated that the secrets of the area may go beyond the caves and tales of Father Crespi and his mysterious treasures! Last time we identified some formations that appeared to be man-made. If this is true, then it may be connected to an ancient mythical civilization that created the famous Father Crespi tablets. Local legends tell of a lost civilization related to the caves and some archaeological evidence and unexplained phenomenon have been found in the area suggesting that the caves were inhabited before the Shuar people settled in the region. 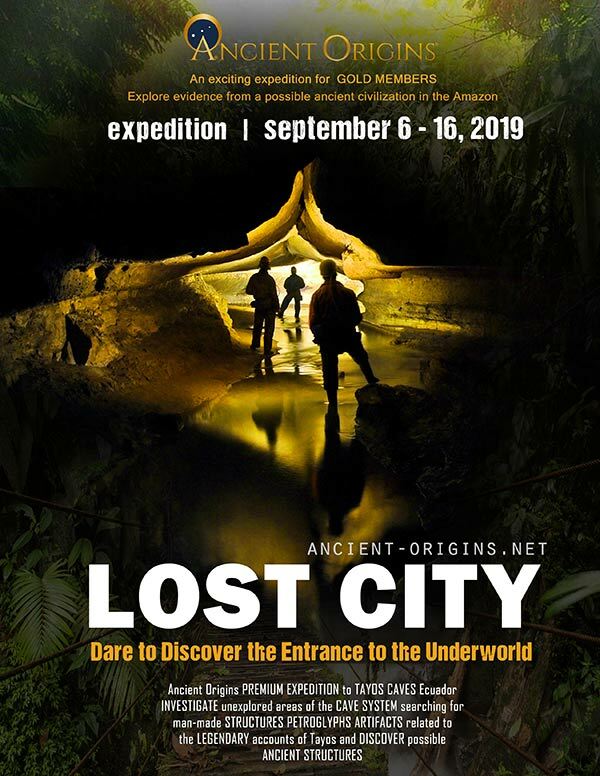 Our goal therefore expands from looking for more cave entrances – which will begin with investigating an unexplored cave we found last time - to also exploring if the formations we found are indeed manmade, which could mean an entrance to a lost jungle city. Participation on this expedition is limited to 14 people including the Ancient Origins team. Therefore, only 10 members will be selected based on their skills. The cost of participation is $1050 (USD) which includes all meals, accommodation and transportation within Ecuador - details will be emailed to the final participants. If you would like to participate, please complete the participation form below (PLEASE LOGIN FIRST). Once evaluation of all applicants is finalized, an email will be sent with all the details to the participants to formally register for the Expedition.